With this new treatment concept we can help you to achieve considerably more quality of life within one day! You leave the practice after only one treatment with fixed third teeth which not only give you a beautiful smile but also make enjoying your meal possible. 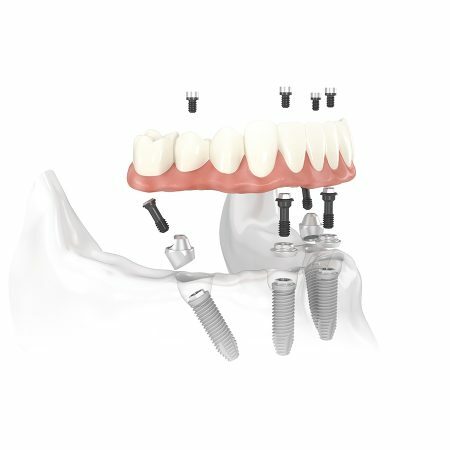 Especially in cases of severe bone loss, placing implants has required, until now, a lengthy bone augmentation. Consequences for the patients: They had to accept an extended treatment and a temporary full prosthesis. The new All-on-4 treatment concept does away with all this inconvenient procedures. If you have previously lost your own teeth or they are not worth preserving, All-on-4 is the ideal treatment concept for you. 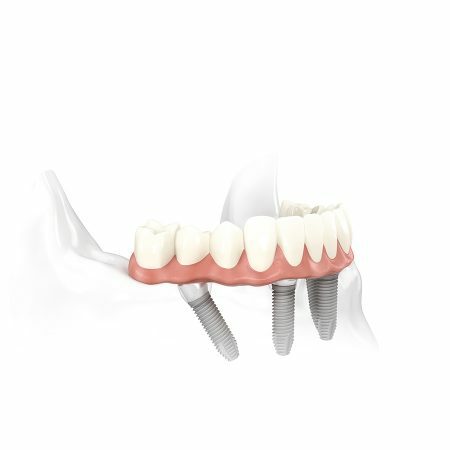 In a single visit we remove the remaining diseased teeth, place the maximum of 4 implants and screw a temporary bridge on top. After just a few hours, you can leave our practice with fixed, fully resistant teeth and start enjoying your life again. After 3 to 4 months, we will see each other again to fix your permanent bridge. And your palate? Remains free! At first we will check your suitability for the surgical procedure in a comprehensive medical history discussion. Your jaw bone is X-rayed with low radiation 3D Digital Volume Tomography (DVT). 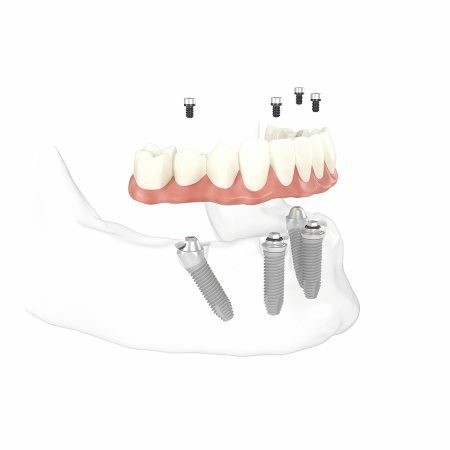 With these images we can exactly determine length and position of the titanium implants. The gained 3D data can also be transferred to a surgical template, which enables us to perform the drills for the implants minimally invasive and to a millimetre accuracy. With the computer–based preparatory work we can then gently and quickly place the implants. While you are waiting in our practice, the fabrication of your new, third teeth begins in our dental laboratory. Based on the gypsum model, we determine the medically accurate and aesthetic tooth position, as well as the tooth shape. Finally we choose together your desired tooth colour. Before fixing your new, third teeth, you can test them, so we still can, if necessary, make improvements. Of course, we are only satisfied with our work if your are satisfied too – and smile brightly!. 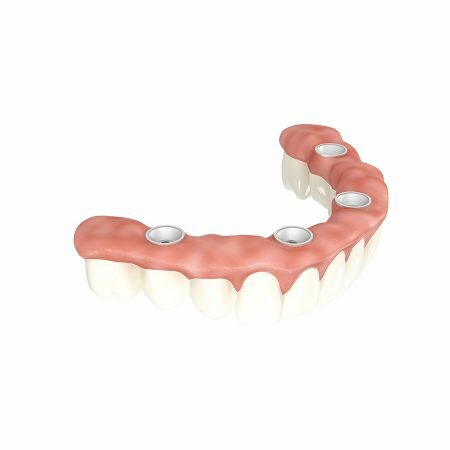 Your temporary dentures are fabricated of high quality synthetic material and can be worn up to one year. 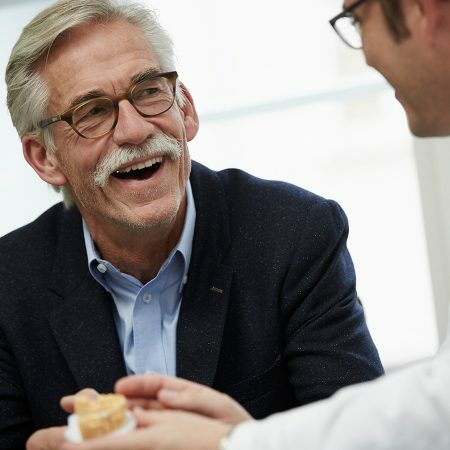 But, as a rule, they will be exchanged after three to four months for your permanent high quality dentures with porcelain or resin veneering. We would be pleased to assist you in choosing the best material for you!